254 pages | 25 B/W Illus. This book aims to help those in middle leadership posts become more confident and effective in their roles. It will also assist anyone considering becoming a middle leader to prepare for the challenges ahead and avoid common mistakes made by the novice team leader. The second edition has been updated throughout to reflect current role expectations within a rapidly changing education landscape. New chapters have been written by a current head teacher and a highly successful head of department and the author has provided more detailed guidance on improving teaching and learning through the provision of effective in-school professional development for teachers and support staff. With self-evaluation tools, case studies and reflection and action points, this book is essential reading for all current and aspiring middle leaders in secondary schools. 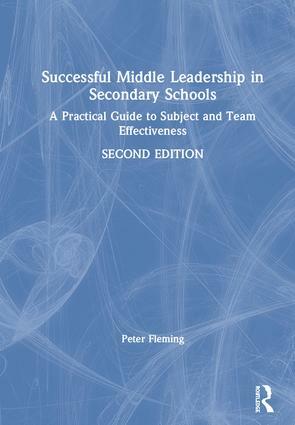 Peter Fleming has been involved in running training programmes for middle leaders for over twenty years. He has experience as a head of department, head of faculty and assistant head. He served as Head of Teacher Training at York St John University and was a Senior School Improvement Adviser for twelve years.